MIDS Inc. operates a fully coordinated transportation system running a mixed fleet of DOT 5311 vehicles and company owned 15 passenger vans. 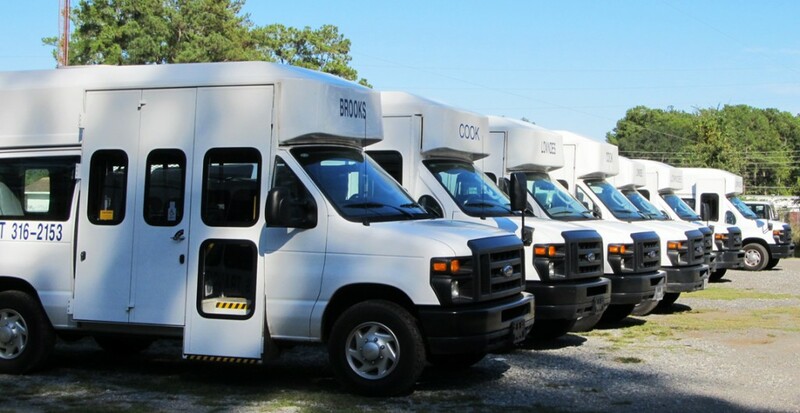 MIDS Inc. performs DCH, DHS, GDOT (Public trips), Vocational Rehabilitation, Workmen’s Compensation, private pay contracts and transportation for special events. The NET trips are contracted and performed throughÂ the states broker, SWGNET. DHS trips are contracted with Regional Development Centers which in turn contracts with MIDS Inc. to perform the DHS trips within their region. MIDS Inc. contracts with Bacon, Berrien, Brooks, Cook, Lowndes, Turner, and Ware County to be the Third Party Operator for the DOT 5311 Program in their area. In the counties of Decatur, Seminole, and Grady, MIDS contracts with the Southwest Georgia RDC to be the Third Party Operator. The remaining contracts are with individual agencies. Currently MIDS provides over 35,000 trips and 3,600 home delivered meals monthly in the twenty four counties that it operates in. This is a monumental accomplishment when you consider that each contract has different requirements and different beginning and ending program times that usually overlap each other. MIDS Inc. works very closely with each contracted agency to ensure that trips are performed and documented according to their specific contract requirements. MIDS Inc.’s goal is to provide quality service that exceeds the expectations of our clients and contractors. MIDS prides itself with timely, courteous, and dependable transportation to all clients.